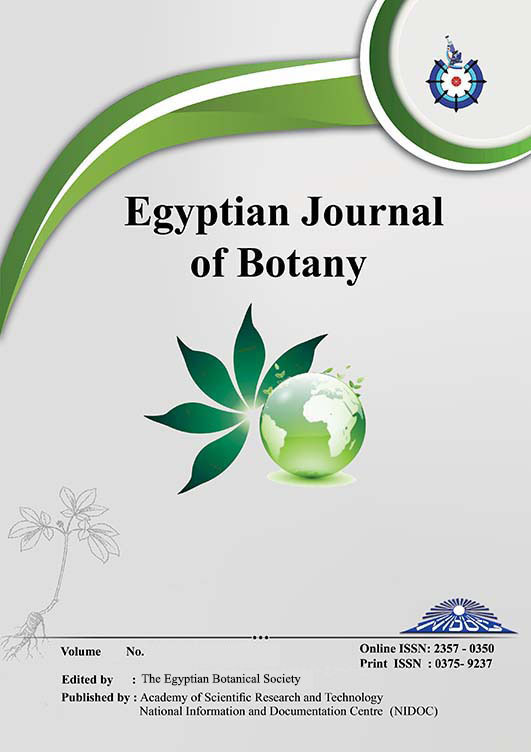 THIS STUDY investigate the efficacy of β-sitosterol (10-3, 10-5 and 10-7 molar) or gibberellic acid (100ppm) on alleviating harmful effects of temperature stress (10oC and 45oC) on three cultivars of Lycopersicum esculentum Mill., mainly Fayrouz, Aziza and N23-48 to the purpose the activities of some antioxidant enzymes, protein patterns and DNA finger print in order to focus on the role of β-sitosterol or gibberellic acid for enhancing plant tolerance against temperature stress. It was found that, temperature stress (10oC and 45oC) decreased the activities of catalase and peroxidase, while β-sitosterol (10-3, 10-5 and 10-7 molar) or gibberellic acid (100ppm) enhanced these enzymes activity. The electrophoresis studies showed that some new protein bands and DNA finger print were observed probably to increase plant tolerance against temperature stress. These results give a positive indication of the use of β-sitosterol specially 10-5 molar or gibberellic acid in field application to ameliorate the toxic effects of temperature on tomato plants.